This is a longer post which digs as deep as I can at using a curious mind to think about and explore a retail store. 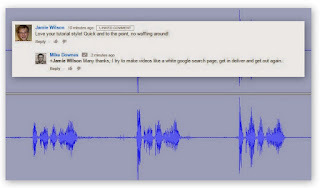 This post, like all posts on this site are a discussion where comments are open at the base of this page. In this age of realtime web publishing, an edit or update is only a click away (any I make are labelled with edit/update and the date). 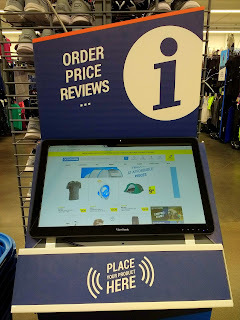 If you’re new to Decathlon, or haven’t visited in awhile let’s get an overview. 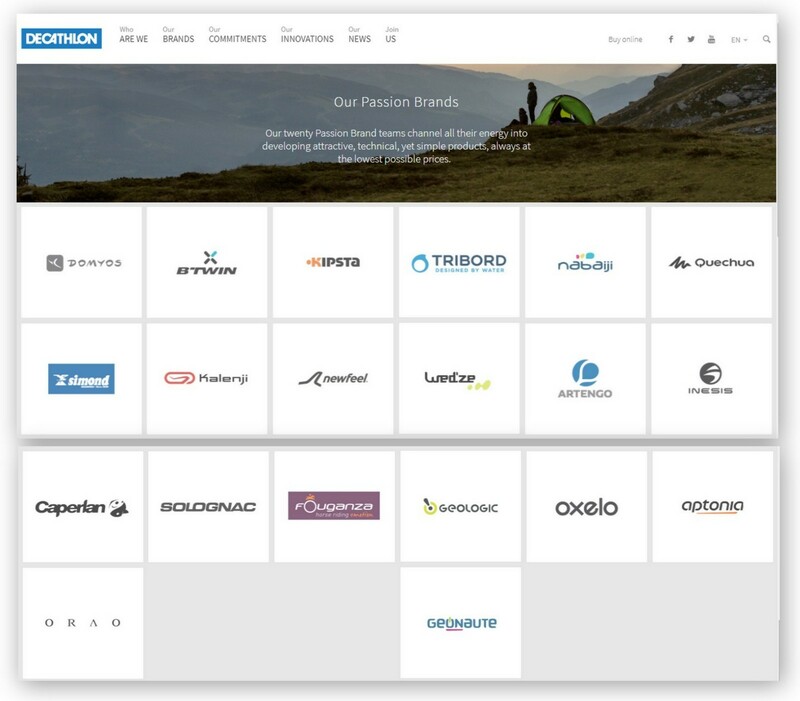 There are 20 Passion Brands which are described on the corporate website as, ‘Our twenty Passion Brand teams channel all their energy into developing attractive, technical, yet simple products, always at the lowest possible prices’. There are a further 89 brands listed too. On searching 235 listed for Nike, 17 Blackdiamond, 8 Campingaz etc. Part Four - Coming Soon and will be about a global decathlon looking at the way business is done. How products get designed, made, tracked and shipped. From my experience in the past, I’ve heard of and purchased Quechua, Kipsta and Tribord. More recently Solognac and Artengo rings a bell for some reason, but unsure why. My tip - if you are looking for a great simple product, then start searching for these ‘technical brands’ and prices. They are very hard to miss in store - one example is the Quechua Arpenaz 10 Hiking backpack at £2.49 (there’s even a 10 litre backpack at £1.99 that folds to fit into the palm of your hand - that’s why I rate decathlon so much, so sensible a design at a brilliant price to solve a (storage) problem so fast). Remember I keep talking about this ‘cope with and access the modern world’ - well from now on this post will get a little web savvy and dip into some databases. 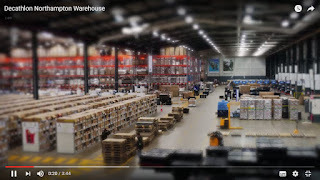 That means thinking about the supply chain product journey from manufacturer, wholesaler, central warehouse (storage) and then delivery to a local store or a customer address. Think of all these products as one one massive pizza box, and when you lift the lid, you see thousands of slices. Only a percentage of those slices (decathlon products) will be available in ‘your’ local decathlon store (depending on that store’s size). It seems there around 40,000 products - I made a search error and was gifted this message, ‘We have over 40,000 sports products on our website. Give it another go!’. On doing some searching, I’ve made this Passion Brand data sheet. Note Subea seems to be another passion brand with 163 products (diving brand - underwater masks, wetsuits, fins etc). There’s also a chart by Activity. I’ve left off the brand name, just wanted to show a generic like for like. Golf has 189 products where I thought that would be much larger where fishing I guess is highly specialised and fiddly with all those hooks, weights and flies. The largest product area is Domyos - something I know absolutely nothing about. A subset of Domyos is Yoga where there are 335 products - which has me looking at what could there. On which I see a best seller (as a mottled grey women’s sports bra) and next to that are recommended Yoga sweatshirt, also in grey. But this one has a hood, so I’m now searching for hoodies - something at which I find 176 results. And so lies the beauty and love of online shopping! 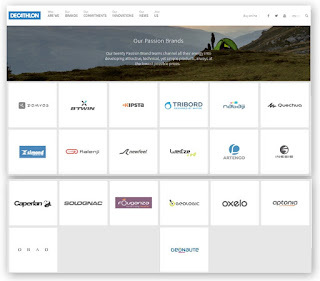 From the 40,000 products (an unconfirmed figure), 9,500 products are Decathlon Passion Brand (confirmed by searching the website). 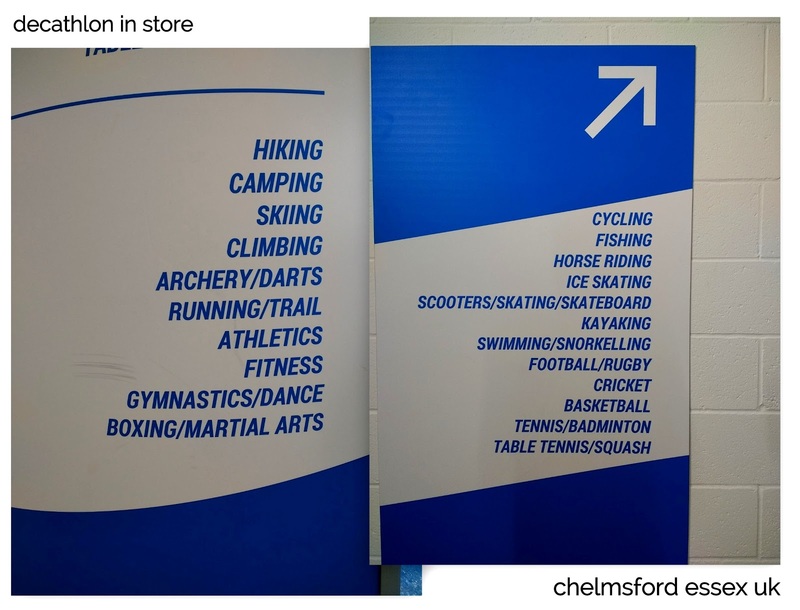 In a typical brick and mortar Store, we’ve already discussed out how the Chelmsford Store has around 2,000 sq metres while Giltbrook has double at 4,000 sq m, the UK warehouse in Northampton with 18,000 sq m. The flagship Surrey Quays Store has around 5,000 sq m and pitches tents in the car park and occasionally installs an outdoor swimming pool (see this earth image, see Note 1 below). Something is bound to be left out at any local store. Rather than getting lost Online with these tens of thousands of products (I will let you do that), I’m going to talk about two examples. One definitely not found at the local Chelmsford Store and one that definitely is. A big clue was in the lead slide for this post, namely the Solognac Waistcoat 520 Green and the Quechua Hiking Cap 700 Breathable Dark Grey. Here are their stories. The Waistcoat - Cast your mind back to when there were 41 days until the opening of the local Chelmsford store and I wanted a new black softshell jacket. My only choice was to search online. I knew the brand Quechua and trusted it. For some odd reason, and this happens a lot online, I wandered into the Solognac range. I think I may have searched keyword softshell (63 results, gender men’s) and then seen Solognac. This lead to a black softshell with no arms known as a Gilet, which had me thinking - a What If? moment..
Searching Gilet, we see 94 results in Men’s. 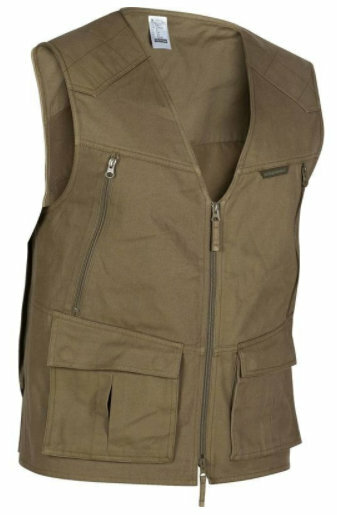 Top of the list, Quechua Trekking Arpenaz 500, with six green waistcoats that look suitable. My Tip - open a decathlon account, login and then you can happily Save anything you see (called My Wish List). This helps tremendously of the enjoyable and addictive maze that is online shopping. I think it’s the looking at the many pictures. And each decathlon product has at least a dozen photos and a video. Over the next few days I started to think more about these waistcoats. As a nature and landscape photographer, I spend hours outdoors staring at trees and listening for anything that moves. If you have not done it, get out there to some ancient woodland and do nothing at all but just look and listen. You will be amazed at what you will experience. Another strange thing happened and I think it was on mobile, maybe in the Decathlon App, maybe on the mobile website - I really do not know. What I do know a big red rectangle and a 20% off banner. 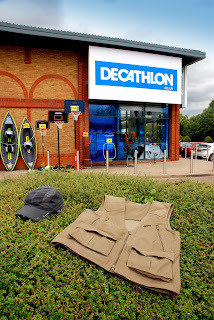 I was sold and decided to Buy (as an aside other waistcoats of lesser quality were four or five times the price, another reason decathlon wins). On 27 May 2017, I paid £1.99 for shipping and elected for the product to be sent the local Asda using To You (notice the decathlon banner on the website. I could have waited one more day and used Collect+ which is a set of lockers next to a BP Garage (called locally Asda Admiral). For this purchase, I consulted the excellent decathlon size guide. More information on Click and Collect. On 29 May, just two days later, had email and a text message from To You - the parcel was ready to collect. I think secretly, and at the back of my mind, I was testing the system. 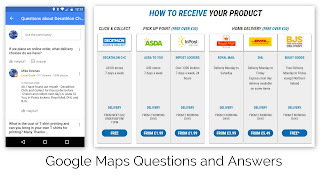 The many systems in place - Decathlon, Asda and the To You Parcel Tracking mechanism. It worked - sometimes, as we know they do not. In a digital world we can send enormous amounts of data like video, photos and words in realtime - but as yet we have not figured out how to send physical stuff fast (yet if you research drones you will get an idea of where we maybe heading). Making an online purchase for some people is everyday and easy, for others it’s impossible. And for others it’s a wish, that is beyond them - you need a certain level of digital literacy to make an online purchase, to negotiate certain steps: search, search again, save, return, add to basket, ensure correct colour, size, checkout, select delivery, pay, read emails, read tracking email, receive delivery alert, gather collection identification and finally collect the item. The Hat - As a contrast, this was a totally different purchase. On local store opening, at 5pm 8 June 2017, it was packed with 100s of people clogging up the isles (I describe what happened below). I left after twenty minutes knowing I would return in the morning. This was much better, I could see and enjoy the new store. I think I may have seen the hat, but not bought it. On sitting at home, I looked at the hat online and thought what a great price and sensible design. Another visit to store and tried on the hat and bought it. What secured the purchase was how lightweight it was. I remember it was displayed on an end aisle - very easy to see. There is NO WAY I would have bought this product online - in one way there was no need for me to. Or maybe I own far too many hats already (and I do) and do not need another. I would say this example is a straightforward old school purchase - visit store, browse (for no real reason) see something nice - buy it. 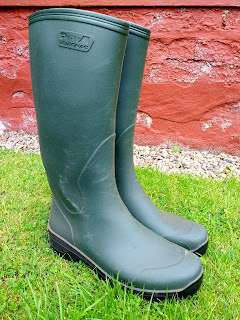 Other purchases - There were a few more little opportunistic in store purchases like the - the Quechua Snap Hook Clip at 49p or the Domyos Martial Arts Zori Sandals or the fabulous Solognac Glenarm 300 Hunting Wellies Green. If you've ever walked in the summer in fields with long grass in shorts, you get your shins cut by sprightly long grass and nettles. 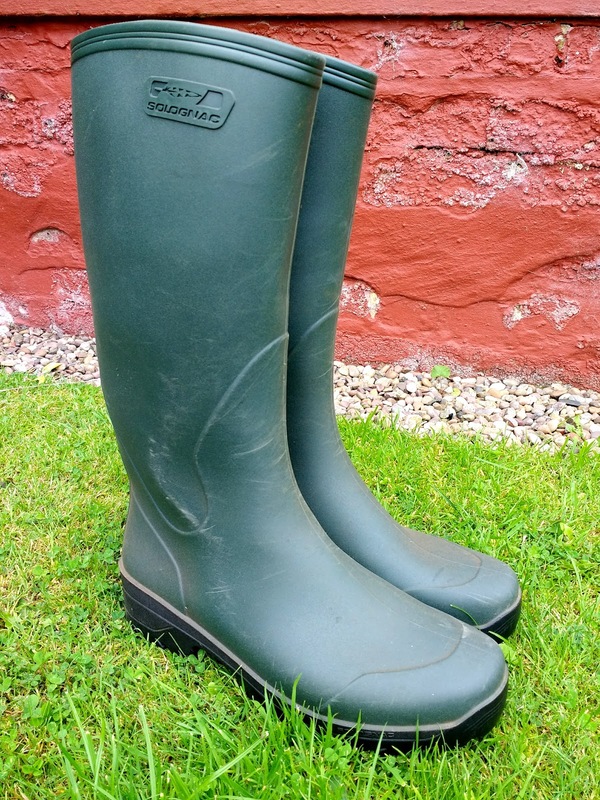 Wearing wellies like this does away with all that, and not to mention the delight of standing in a river stream taking video of minnows in these wellies - reignites childhood and a huge smile. 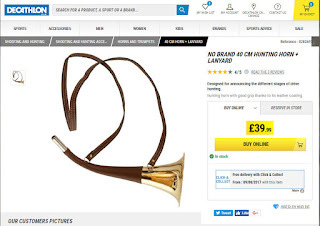 For no reason at all I searched for Lanyard and found a No Brand 40cm Hunting Horn and Lanyard. I have no need for this at all - just I want one. And every child or grown up child will probably feel the same. It’s a fantasy item with an automatic cool factor. Hang a few next to the Bows and Arrows - I bet they attract attention. My Mistake - This is a tip for others based on how I placed an Online Order for four items (two shirts, footwear and a Quechua Low Camping/Hiking Table Blue. Three items were special order, where the table was in stock and I figured I could visit In Store immediately and collect - I was wrong. All four items would be sent to store sealed boxed up - that is how Online works. To collect that Table I needed to have selected Reserve in Store, then Stock in Store, then Add to Basket - this was not an easy process. All I do know, make a mistake once, and hopefully not again. Collect in Store from an Online Order is Free (I tested this at least three times). Remember, I would never have ordered online unless I had a heightened knowledge of ALL the Decathlon Products and where to find them. An unpurchased example is the clip on polarised sunglasses. In total there are 3 products, yet in store only two. The best fit for me, is the Caperlan Dusky Fishing Polarised Clip On is a special order. Quite curious, as In Store there is a large fishing section already. What I would say, and fully accept - tough decisions need to be taken on what gets on those local shelves. Customer Reviews and Photos - Remember I keep talking about all this is about people, well this is a really exciting section to write. 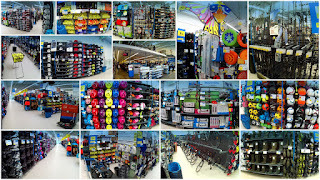 DEcathlon products are bought by people, used by people and enjoyed by people - each and everyone of them has a story. The Hat - Remember the Quechua Hiking Cap 700? Well, meet Francesco from Italy - he holds the record for the first and only photo upload of this product (open image in a new tab). One photo, one word review ‘Buono’. 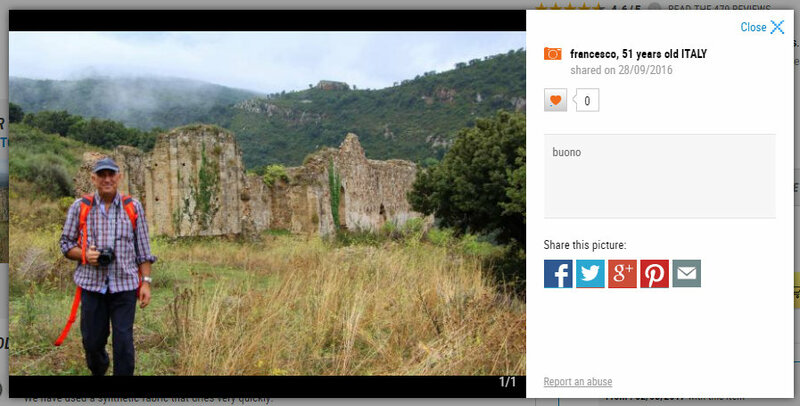 Francesco stand wearing the said hat in from of a ruin in the mountains somewhere, over cast with a clouds pulling in. This for me, is a brilliant advertisement for this hat - As worn by Francesco. Here’s the thing - there are 478 reviews for this hat, yet only one photo. We as humans think in images, learn in images first and words, text second. 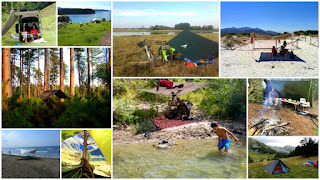 The Tarp - A tarp is one of the most versatile things ever, bushcraft lovers will know this already. 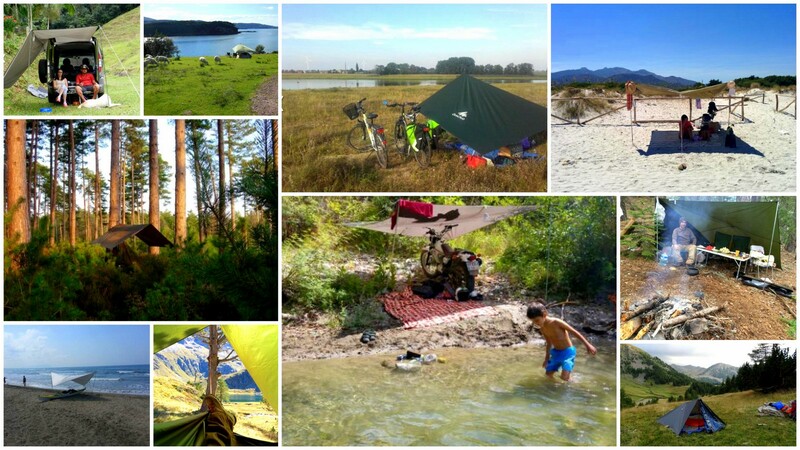 The Quechua Camping Tarp Hiker’s Camp Arpenaz in Khaki has 148 text reviews and 63 wonderful user photos. Depending on what you need and where you are, depends on how the tarp is folder and arranged. I like these 63 photos so much - expect them in a separate video. Here is a ten photo collage - every one tells a unique and quite different story from Turkey, France, Italy, Poland and Brazil (in my slide no UK, in the 63 photos, 5 were from UK). mask in the lounge, let's get it wet.. The Snorkel - Across all websites this summer, the Subea Easybreath Surface Snorkelling Mask Blue is heavily featured (maybe Subea is another decathlon passion brand, it list 163 products). With a whopping 5,230 user reviews and 261 customer photos it’s popular. I’ve chosen the photo of a child stood wearing the mask in his lounge - so much anticipation and innocence. The Chelmsford Store Opening at 5pm on 8 June 2017 - I passed by the store at noon on the day of opening. It was overcast and windy - I made this ten second video. I returned just before 5pm - there was a patient queue of customers stretching back a hundred metres, again another video. As an observer, I could not understand why there were so many people in that queue, albeit that’s the British way - form an orderly line. I had followed the store opening for the last 6 weeks, I had signed up for a decathlon account and therefore free backpack - dod these people know something I did not. Maybe it was the lure of the cake and a free glass of bubbly? As I watched and waited, my mind thought of this In Store face to face versus the intangible online searching and the trust that comes with that, to part with hard earned money hoping an item gets delivered on time and meets or surpasses an expectation. 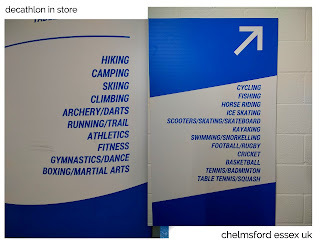 Decathlon themselves did a brilliant job on lining the door, aisles and stairs with smiling clapping staff as a welcome. Live video was streamed to facebook for 20 minutes and twitter/periscope (12 minutes). Look close in each image and see the lady in decathlon tabard holding a phone. The Oddity of the Newfeel Money Belt Black. 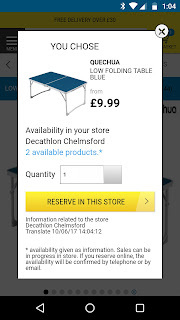 This is a search story where some things are hard to find, which exposes how the decathlon website, app are not quite perfect which is understandable. On thinking about a new belt I searched: belt. Two things at play here 1, belt is a search in itself 2, belt is offered as a dropdown category as a keyword (see image). By the way, the only reason I know the money belt product exists - I saw it on the shelf in store. I thought, ‘that’s interesting’ yet paid no attention to the product name or item code number. On getting home later all this oddity came out on the website, app when it was missing. Hence this enquiry. Using the offered category of ‘money belts and pocket bags’ with 17 results, Newfeel Money Belt is not listed. Using words ‘money belt’ Newfeel Money Belt is not listed. Using ‘newfeel money belt’ we have success at 11 products, where our item is the 2nd result. Simple route - google decathlon money belt and switch to Images, Newfeel in photo number 6, easy. Edit 7 Aug 2017 - It seems this issue has been resolved by the decathlon team - top job and excellent fast work! For those people still curious and not a little agitated with it all, it’s worth investigating what’s on the webpage. Using a right click view source from the product page, and then a search on that page for ‘belt’ we see the word belt mention 23 times. Now if the page is written correctly, it maybe an error in the returning database (from search). I have no idea as have no access to this information. What is ‘true’ how the item code of 8341788 does return the product from search. 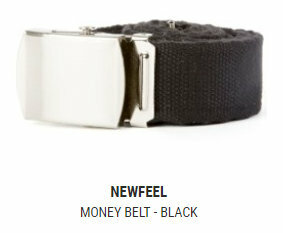 Using ‘money belt’ from search does NOT return the item, where ‘money belt black’ DOES and also ‘money belt newfeel’ DOES. 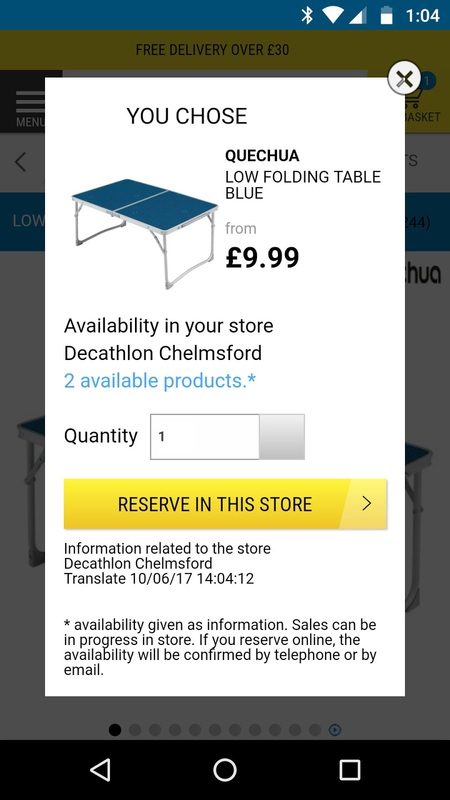 My Tip, report issues like this to Decathlon - somewhere a member of staff will be working on correcting issues like this. 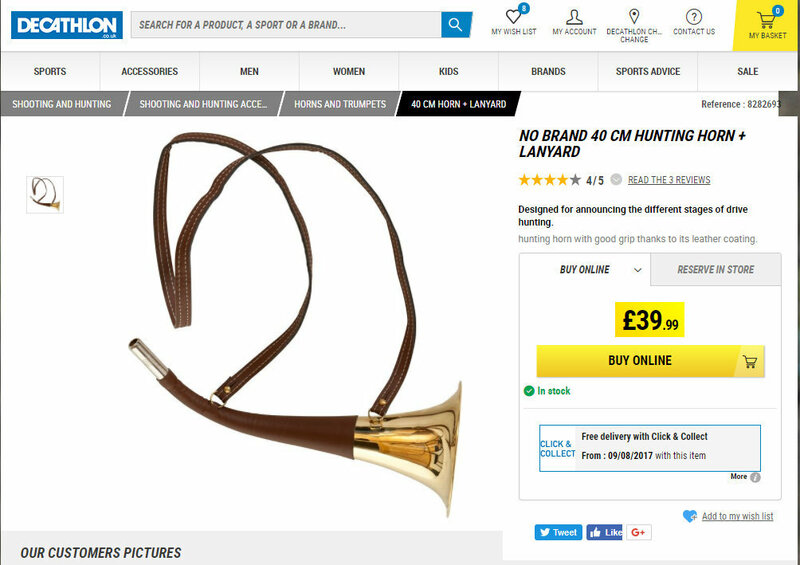 Although to some people this may seem trivial with a belt at £7.99 it has much a wider implication with decathlon or anywhere else in a database, or on the internet. For example, Decathlon sell a Nordic Elite 5000 Treadmill at £2,999 - if that has a database error, a lot of wasted time, money and effort. A few years ago, we had a general election in the UK, on googling I could NOT find a list of the parliamentary candidates. Eventually I pieced the names together and posted on my blog, needless to say there were thousands of views (April 2010). The Touchscreen In Store Terminals - These are something I do not understand. 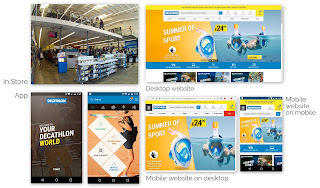 They display neither a decathlon website or a mobile app, but some hybrid that is found nowhere else. Edit 7 Aug 2017 - Fantastic to see a Customer Information Terminal in the Chelmsford Store showing the FULL decathlon.co.uk website on the Chrome Browser. In other words from a customer’s point of view, these touchscreens will ONLY be seen in store and NOT in the customer’s home or on mobile in their pocket. When I was a teacher, I taught children to use computers - I made sure I only used software that the student would ALSO be able to use at home. This made learning fast and easy. 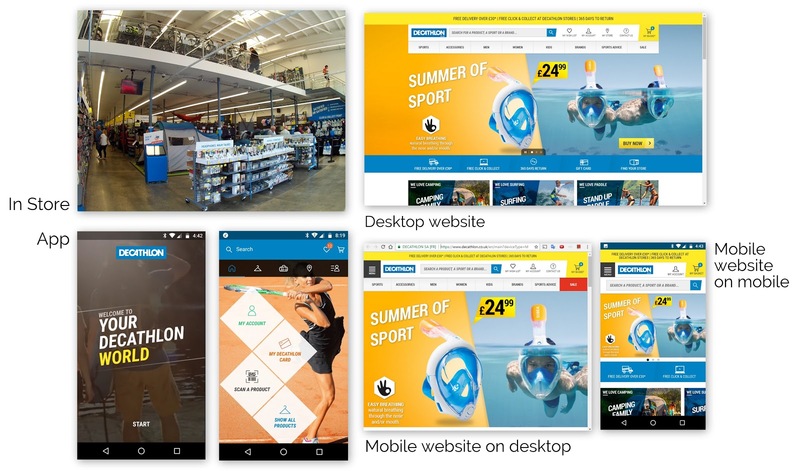 In my view, decathlon should replace these terminals with two screens side by side - One screen landscape showing the true decathlon.co.uk website and the other screen portrait showing the mobile app. And then help customers use it - it’s that simple. The customer will gain confidence in searching and begin to appreciate Website compared to the App. People are a strange, peculiar and guarded species - they will not volunteer how little they know about technology and ask for help. Instead they will accuse someone else or the store of making a mistake. I talk in very general terms, yet have experience of teaching schools for seventeen years. It was the children, the students that were a pleasure to be around and learn from - not so much the parents, the adults. Free Wifi - If decathlon make a mobile app with a scan a code feature, then a customer should have free Wifi in store. Afterall, most retailers offer free access to the internet these days. On searching I do see some stores in the UK have free Decathlon WiFi like Warrington (although a 2015 post). 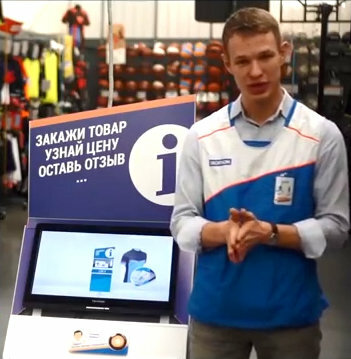 In Store Events - Use the tannoy to make educational announcements and show videos made by a member of that local store staff. A video about how to get the most out of the Mobile App is a good start, or how to shop In store, Online and Mobile. Then every hour or so do a live demo (using those touch screens). 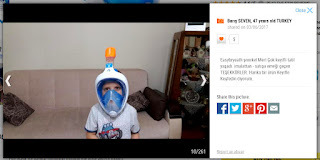 Orientate the demo for kids - show user photos from the website. Make it all a conversation, build a local community - don’t just use decathlon to buy a tennis racket, but find a doubles partner too.. Note 1 - These days, we all have google maps/earth that provides a fast measuring tool - that’s how I came up with those square metre figures. Streetview and google place pages will confirm other details like user photos. This makes research easy.